1. A non-refundable one-time registration and material fee of $50 is to be made upon registration with the centre for Primary and Secondary School classes. 2. A non-refundable one-time registration fee of $50 and material fees of $20 per term is to be made upon registration with the centre for Kindergarten classes. 3. Payment of fees must be paid in full 1 month prior the start of every term. 4. Write Edge reserves the right to charge an administrative fee of $20 for late payment if payment is not made by the 1st lesson of the term. 5. Write Edge reserves the right to refuse attendance if payment has not been received after three reminders. 6. Payment of fees can be made via NETs, GrabPay or Cheque . Please write the student’s full name and contact number on the reverse side of the cheque. 7. All payments of fees are non-refundable and non-transferable. 8. Crediting or prorating of fees is only allowed maximum twice within a term if the student is able to produce official supporting documents (for e.g. medical certificates or letters from the school). Write Edge reserves the right to reject any requests to credit or prorate the fees if the requests exceed twice a term (3 months). 9. Lessons that are credited to the following terms are only applicable if the students join the following term. 10. Worksheets will not be given for lessons that are prorated or credited. 11. If students missed a scheduled lesson, they are able to do a make-up class within the week. 12. Arrangement of make-up lesson is only allowed maximum twice a term. 13. Write Edge reserves the right to cancel any class at any point of time during the term. In the events of cancelled classes, make up classes will be arranged. Fees paid for the cancelled classes may also be refunded or credited to the following month/term. 14. Students will be dropped off and fetched from the centre a maximum of fifteen minutes prior to the scheduled start of class and a maximum of fifteen minutes after the scheduled conclusion of the class. Write Edge personnel will not be held responsible for students’ safety prior to their arrival and/or subsequent to their departure from the centre for their scheduled classes. 15. Lessons are conducted as usual during school the March, June and September holidays and until the end of November. There will be no weekly lessons during the month of December. 16. 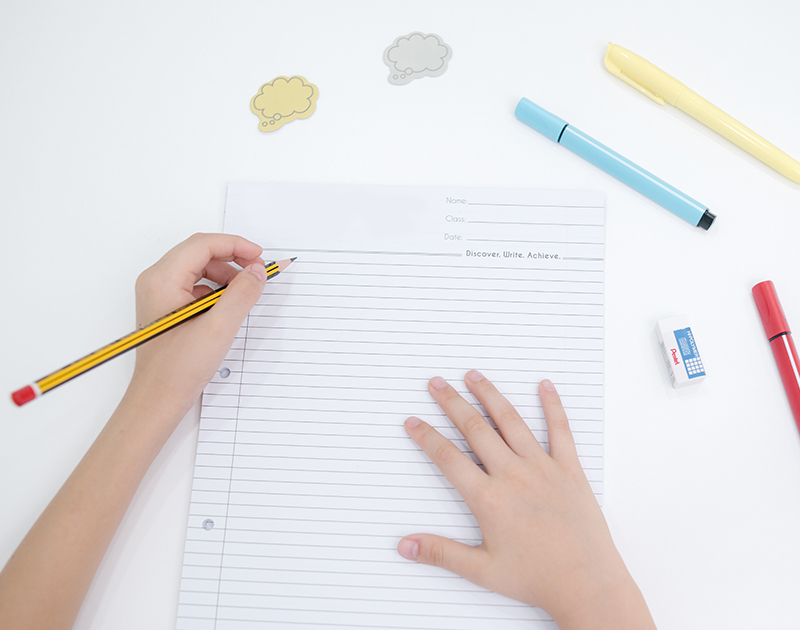 During March and September holidays, lesson’s fees can only be credited with MC or school letter. 17. With the exception of Chinese New Year, for any other Public Holiday that falls on a Saturday and Sunday, lessons will be conducted as usual. 18. Classes will not be scheduled on gazetted Public Holidays that falls on weekdays and fees will be prorated accordingly. At any point throughout your child’s enrollment with us, please do not hesitate to make an appointment with our Teachers, Supervisors or Centre Managers if you have concerns about your child’s learning progress at Write Edge. 19. Students who withdraw and re-register with Write Edge after 6 months will be considered a new enrollment and is subjected to the one-time payment of the registration and material fee again. 20. Students who wish to withdraw from Write Edge are required to give one month’s notice and fill up a withdrawal form. 21. Write Edge will take necessary precautions to safeguard the well being of students within its premises. 22. Write Edge will assume responsibility of the supervision of the student while the class is in session. We assume no responsibility for the supervision of the student at times outside of the class sessions. 23. Unless caused by the negligence, wrongful act or omission of Write Edge, and/or its employees, Write Edge shall not be responsible for any personal injury, loss or damage arising during class. 24. All costs incurred as a result of any damage, injury, loss, expense or liability that may be caused to public and/or private property by the student will be paid by the parents/guardians. 25. Write Edge reserves the right to substitute or change teachers without prior notice. 26. Write Edge reserves the right to disallow student attendance at the Centre if their temperature is above 38°C or deemed to be unfit for lesson. 28. I give permission to Write Edge to use my testimonials for Advertising and Marketing purposes. 29. The enrolling parent / guardian is required to notify Write Edge of any changes to their particulars as listed on the Registration form. All correspondence will be sent to the current mailing address and Write Edge accepts no responsibility for undelivered correspondence. 30. Write Edge reserves the right to vary these terms and conditions without prior notice. 31. The terms and conditions above will take immediate effect upon enrolment. This applies to all parents and students who signed The Write Corner / Write Edge registration form.